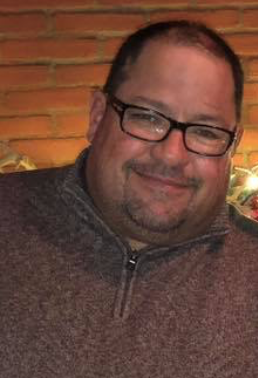 Scott A. Campbell, age 49, of North Platte, NE, formerly of Ogallala, NE, passed away, Tuesday, March 19, 2019 at Great Plains Health in North Platte. Scott was born April 28, 1969, in Ogallala, NE to Max and Karen (Speck) Campbell. Scott went to school in Ogallala, graduating from Ogallala High School in 1988. He worked for the Ogallala Livestock. On August 4, 1990 he married his High School Sweetheart, Bobbi Hood, at the United Methodist Church in Ogallala. In 1995 the two of them moved to Haigler, NE, where Scott worked for Monfort Feed Yard. They returned back to Ogallala in December of 1995 and went to work for Profit Maker Bulls until 1998. He worked various jobs until returning to Ogallala Livestock until 2004, when he left the sale barn to care for his parents. Scott went to work for Blessings in the spring of 2004 until 2013, when he went to work for Schwan's. Scott and Bobbi moved to North Platte in 2014 and the two of them opened State Farm Agency. Scott loved the Nebraska Huskers and Kansas City Chiefs. His passion was watching the Ducks and Geese work as he guided for other hunters. He is preceded in death by his parents; hunting partners, Bo and Beth, the labs; grandparents, James and Lucinda Campbell; Clyde and Beulah Speck; and several aunts and uncles. Scott is survived by his wife, Bobbi, of North Platte; 1 son, Wacey Campbell, of Ogallala; 1 daughter Nichole (Michael Roche) Campbell, of Scottsbluff; 1 aunt, Darleen Hopkins, of North Platte; 1 uncle, Jerry (Joan) Speck, of Ogallala; several cousins; mother and father-in-law, Richard and Charlette Hood, of Lewellen; sister-in-law, Samantha (Mike) Dishman; nephews, Tyler and Zachery Dishman, all of Sherman, SD; an aunt, Caro Campbell, of Wickenburg, AZ; an uncle, Pete Campbell, of Springfield, OR; a special hunting friend, Ellie; 4 granddogs, Chloe, Bo Bo, Alli and Remi; and many special friends. Memorial Services will be held 2:00 p.m. (mountain time) Saturday, March 23, 2019, at the Keith County Fairgrounds Exhibit Hall in Ogallala, with Pastor Jon Palmquist of Westside Baptist Church of Beatrice, NE officiating. The family asks friends to wear Husker Red or clothing in support of our current President.